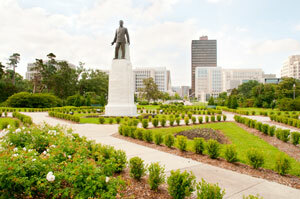 Baton Rouge, also known as “Red Stick,” is the capital of Louisiana and home to over 200,000 people. There are many neighborhoods throughout the city allowing for specialized local advertising. Target your audience in Arbor Walk, Boottown, Brookstown, and Concord for example. Other effective advertising opportunities in Baton Rouge are the tourist attractions in the city. Out-of-home advertisements near the Louisiana State Museum, the Mall at Cortana, and the Mall of Louisiana would expose your business to a large number of potential customers. The highways that service Baton Rouge can also be utilized to gain exposure. Billboards on I-10, I-12, or U.S. 61 would generate high traffic exposure of your business. Zip Codes: 70801, 70802, 70803, 70804, 70805, 70806, 70807, 70808, 70809, 70810, 70811, 70812, 70813, 70814, 70815, 70816, 70817, 70818, 70819, 70820, 70821, 70822, 70823, 70825, 70826, 70827, 70831, 70833, 70835, 70836, 70837, 70874, 70879, 70883, 70884, 70892, 70893, 70894, 70895, 70896, 70898.